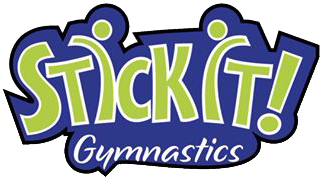 I have 30+years in the sport of gymnastics including many years coaching competitive teams. My favorite food is sushi, my favorite ice cream is cookie dough, and I love pugs! I enjoy watching my favorite team, the Philadelphia Eagles, and being with friends and family. I especially love going to the beach! I am currently serving in the United States Air Force. I have been in Delaware for a couple of years. Dancing was my life growing up. Yes think dance moms. I grew up in Pennsylvania, enlisted and moved to California then did a 4 year tour in Germany. I love working with these gymnasts and helping them achieve the goals they set for themselves. I'm a February baby, born in '95 I have a passion for gymnastics, photography and baking. I'm a former gymnasts and competed up to Level 6. I absolutely love all animals, especially dogs. I lived in India for 3 years and worked at an animal shelter rescuing dogs. I recently got married and moved to Dover. I love ice cream and fruit and my favorite color is blue. I've coached gymnastics in different clubs, camps, and rec programs for 20 years. I competed on the varsity gymnastics team for Bowling Green State University where I was Co-captain and Scholastic All American. I work full-time as a wildlife biologist, and I even know how to drive an airboat. My favorite food is all kinds of potato chips! My two young daughters keep me busy in my free time, and they love gymnastics too! My name is Jelissa, but you can call me Coach Gi. I have an extensive history in the sports of gymnastics, cheerleading and acrobatics & tumbling. I enjoy tumbling, tanning and painting. My favorite food is anything gluten free, especially pizza with pineapple and pepperoni. My name is Andrea Wisher. I participated in gymnastics for 9 years and cheerleading for 2 years. I am a student at Delaware State University studying English with a concentration in Web Communication and Editing. Coaching gymnastics has been more of a delight than it being just a job. I enjoy all of my classes and I learn new things each week along with my students. In my spare time, I enjoy relaxing, writing stories, and taking beach trips with my family and friends. I have my B.S. in psychology. I play field hockey and have played for 12years. I have a background in cheerleading and love spending time with my daughter and family. My favorite color is pink and my favorite food is pizza. I'm Paige! I'm a student at Polytech High School in the Health Care and Rehabilitation program. My goal is to become a Physical Therapist! I was a competitive gymnast for 8 years and I have been a coach for the past year. I've grown up loving the sport and I am so thankful I get to share that passion and love with the next generation! Im a native of Washington, DC. As an educator, I hold multiple degrees from Wesley College and graduate certificates from Wilmington University and am AACCA certified. I have over 25 years of cheerleading experience as an athlete as well as a coach. I am the founder and head coach of Campus Community School Cougar cheerleading and also the head coach of Wesley College Wolverine cheerleading. I love gymnastics!! I'm a former gymnast and competed on the Stick It! Competitive team. I'm a recent graduate from Dover High and plan on attending college in the fall. Lasagna is my favorite food and purple is my favorite color. Hi my name is Gabby. I am 18 years old and in addition to being a gymnastics coach, I am also studying to be a Nurse Practitioner. I love teaching the kids gymnastics and watching them grow in the sport. My favorite color is black and my favorite food is chicken tikka masala. I was born and raised in Brooklyn New York. We came to Delaware in 2002. I'm a homeschooling mother of 3 and have been married for 19 years. I came to this awesome staff in March 2016. I love the sport and have a passion for dance. I enjoy what I do and enjoy seeing all of the gymnasts doing the same. I love to cook and enjoy spending time with my family. My favorite color is red. I am originally from PA but moved here in 1995 when I got married. I am a homeschooling Mom of 3 older children. And I love being "Mama Sue" to some of our coaches. I love to cook and bake, especially gluten free options, and enjoy sharing them with others. I am a die-hard NY Giants fan, love the Yankees, and talking sports with anyone.